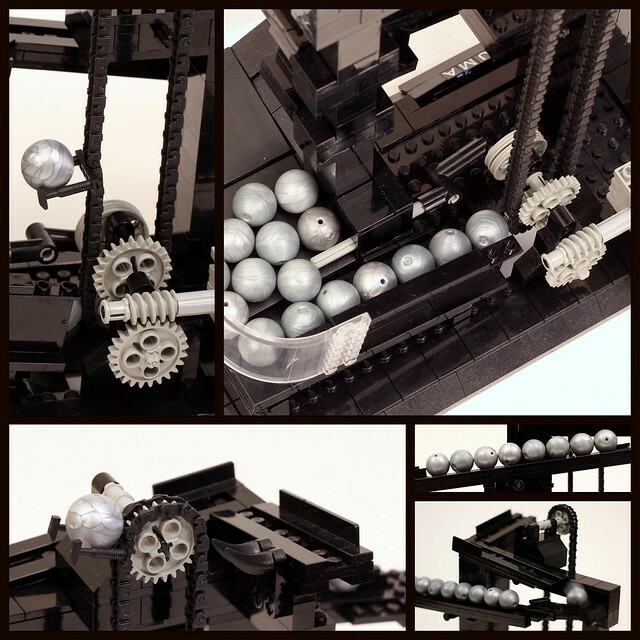 Jason Allemann built this very clever LEGO ball clock that displays time using balls on a series of tracks. Three tiers of tracks are used to display time: the bottom track is hours, the middle track is 10 minute increments, and the top track is minutes. 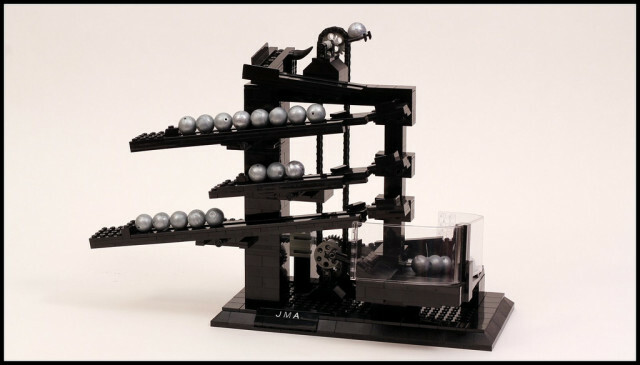 The LEGO Ball Clock is based on the rolling ball clock, a 70s novelty clock that was designed by Harley Mayenschein.